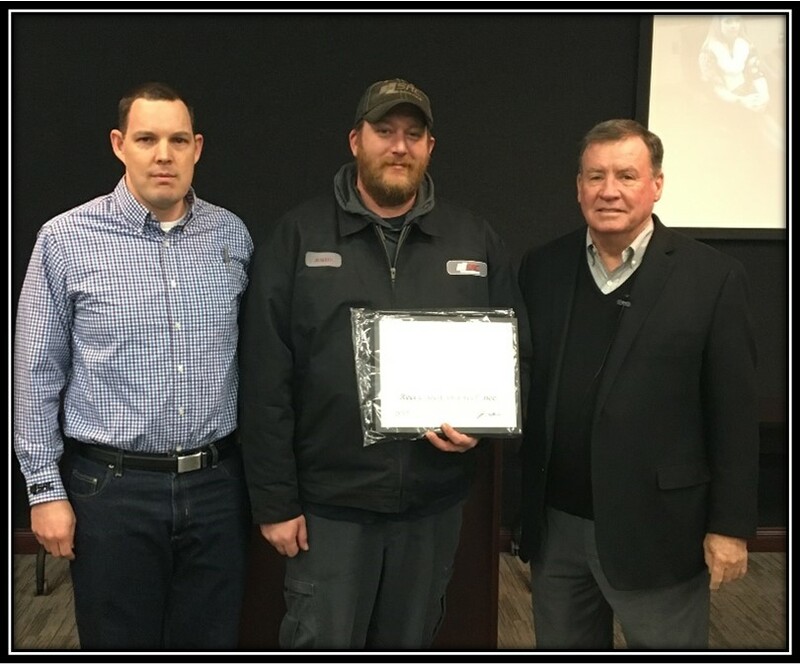 Two SRC Logistics employees, Justin Kirby and Lisa Moore, received the Spotlight Award this month at the Corporate Staff meeting at SRC Holdings. The Spotlight Award honors employee-owners that exceed expectations in their job positions, usually by performing tasks or assistance in areas outside their typical job role. Employee-owners are nominated by their fellow colleagues to the Spotlight Committee. This committee reviews all submissions, and then recognizes these employee-owners awards each month at the Corporate Staff meeting. Kirby was recognized for his efforts in transitioning customer material from the SRC Logistics building with zero errors. In addition, all shipments arrived on-time at their new location. Moore was recognized for her supporting efforts in communicating and providing suggestions as new systems were installed that help grow our business. Congratulations to both of the recipients. SRC Logistics is proud to have them a part of the team.